What The Oscars Mean, And What They Don't The Oscars are coming up this weekend, but do they matter anymore? Bob Mondello talks about why the Oscars frustrate him, and we search — maybe in vain — for meaning. 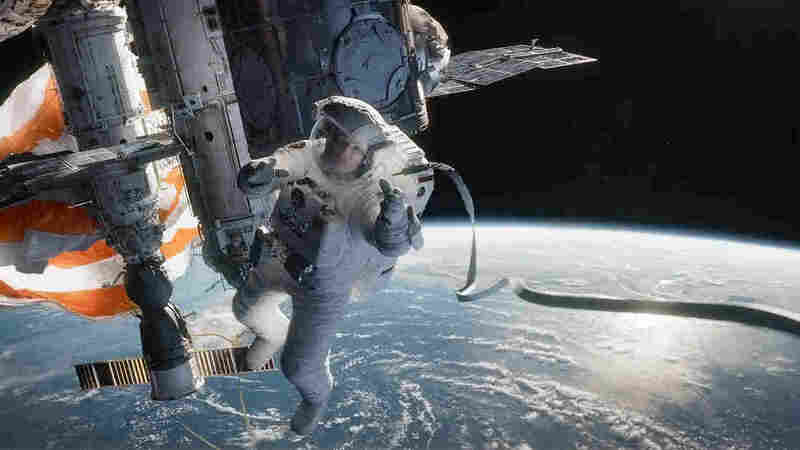 In Alfonso Cuaron's Gravity, one of nine best picture nominees in the running on Sunday night, Sandra Bullock plays an astronaut careening through space after an accident. On Friday's All Things Considered, Bob Mondello and I — fresh off our run of video salutes to Internet comments — chat with Melissa Block about what, if anything, is satisfying about the Oscars. Bob points out the difficulty in bringing yourself to care about a contest that so often leaves out the worthiest contenders; I make the best case I can for Oscar season as a potential time of discovery; and we consider a couple of canards about best picture that might help you pick a winner.